Following the lead of United Airlines and JetBlue, Delta Air Lines has increased its fee for a first checked bag to $30 -- a $5 bump -- for U.S. domestic travel booked on or after September 19. The fee for a second checked bag runs $40. For travel already booked, Delta’s previous fees are applicable. Being an active member of the U.S. military traveling on orders or for personal travel. Attaining any level of SkyMiles Medallion Status, starting with Silver. Booking your flight with an eligible Delta SkyMiles Credit Card from American Express. Flying confirmed in First Class or Delta One. 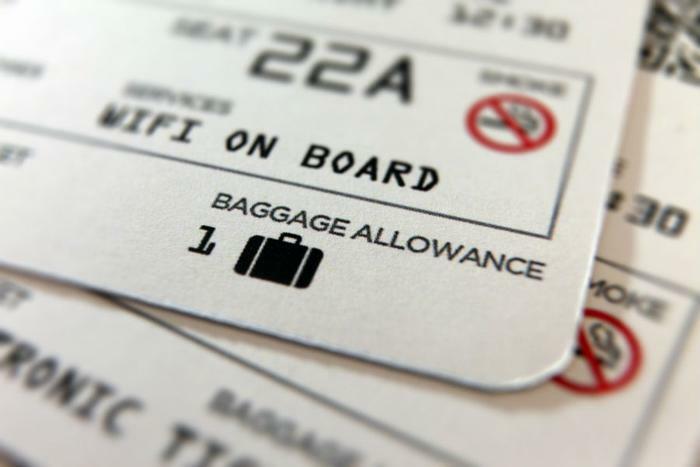 However, not all airlines are going in the same direction regarding baggage fees. For the moment, Southwest is remaining faithful to its two-bags-free policy, and it was just a matter of weeks ago that American Airlines changed its guidelines to allow its lowest fare class passengers to bring aboard a free carry-on bag in addition to the currently allowable personal item. Keeping up with airline charges and changes is almost a full-time job for a flier. It’s also got to be difficult for the airlines who seem to be trying to stay as proactive as they can to keep fares in check while they fight off finicky fuel prices. Many carriers are codependent on ancillary revenue from legroom, seat upgrades, and branded credit cards. “With more competition among airlines for routes and flyers, consumers, on the whole, are seeing a great trend in cheaper tickets,” Yaël Ossowski, deputy director of the Consumer Choice Center, a consumer advocacy group based in Washington, D.C., told ConsumerAffairs. Yet, despite all the ever-changing moves by the airlines, fliers seem to like what they’re seeing. In recent satisfaction studies by J.D. Power, flier satisfaction levels with airlines and with airports is at an all-time high thanks, in part, to in-flight internet connectivity, self-service kiosks, security check-in improvements, and better food and drink. It might not be a fully-warranted trend, but there are stories of fliers trying to beat the airlines at their own game by stuffing their carry-on to the brim.